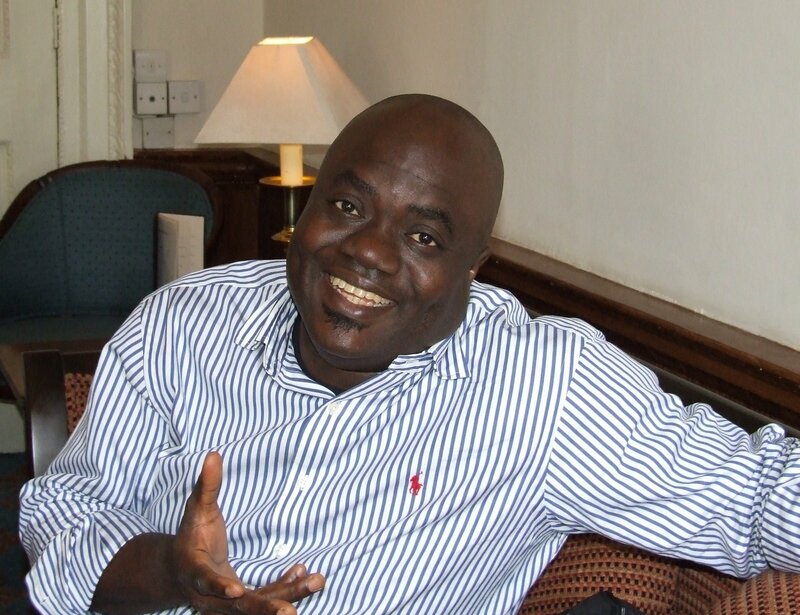 Nigerian novelist and short story writer EC Osondu won the Caine Prize in 2009 for his story “Waiting”. 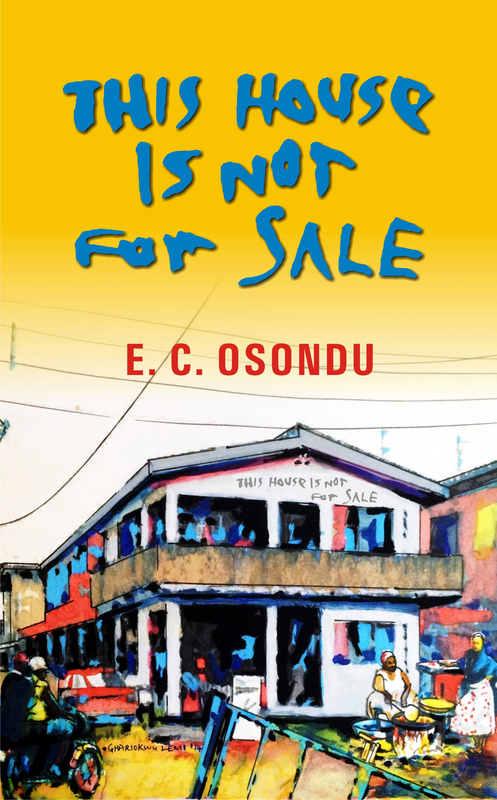 Since then he has released a short story collection, Voice of America and now his debut novel, This House is not For Sale, which focuses on a family house and its many idiosyncratic inhabitants. He talks about the novel and more in this interview. Enjoy! Congratulations on the release of your debut novel. You were thrown into the limelight by your short stories. Was writing a novel something you’ve always wanted to do? You know, I don’t think that writing is something you can really be strategic about in the sense of saying I am going to write short fiction then I am going to take on the long form after which I’d write a memoir- at least not for me- No, it does not work that way. The form or shape is subordinate to the story, I think. And there is something implied by most people-not you- you are a decorated short story writer yourself, that the short story form is a kind of try-outs for the novel, that you kind of use them to limber up for the more demanding form of the novel – I do not necessarily subscribe to this view. Even though This House is not for Sale is a novel, it has the qualities of loosely connected short stories. What was the idea behind that? There is a sense in which the word novel implies newness, strangeness-if you will. In Ars Poetica, Czeslaw Milosz says that he has always aspired to a more spacious form. That more spacious form is what I aspire to. Read together they make sense, read alone they cohere. It is funny that people are more concerned with the shape than the content but then again, one is reminded that many of these comments are from people who have not read much. And one must forgive them their severe limitations. How many of them have heard of or read Julio Cortazar’s Hopscotch a work that can be read according to two different sequences of chapters and comes with ninety-nine expendable chapters and a suggestion by the author to read the book from chapter to chapter or to hopscotch through it. I have always been fascinated by the history of unoccupied houses be it the house just before the Third Mainland Bridge on the way to the Island or the one called Zik’s House in Ikeja. For the most part I think African writers have been writing the received standard version of the novel. And any attempt to stray is met by howls of bewilderment especially by our new breed of failed writers turned critics. Interesting thought there. I suppose people have always been averse to changes and the case might not be different with experimentations in literature. But reading This House is not for Sale somewhat reminded me of V.S Naipaul’s Miguel Street. What books influenced your approach to writing this book? This book shares more in common with A House For Mr. Biswas than with Miguel Street just as it shares more a relationship with Children of Gebelawi than it does with Midaq Alley. The title is interesting because a lot of Nigerians would relate with it. How did you come about it as a title for your book? In an earlier draft of the book, the narrator who is a writer and is both me and not me begins to write the book because a con-man had tried to sell the Family House, so the book becomes an attempt to preserve the history of the house before the house disappears but it is also the title of a song from the album Love Is Hell by Ryan Adams. I couldn’t help wondering if The Family House is symbolic of Nigeria, in the sense in which both take a lot from the people and give little in return, in the way both are rich and powerful at the expense of the people. Was this something you intended? To quote Samuel Beckett from the novel Watt – No Symbols where none intended. One of the most intriguing characters in the work, and there are many, is Grandpa, who looms so large in the story yet is only occasionally seen through his acts of brutality and kindness. Was there a reason he was made that way? I think that to be that way is part of being human. He is generous but also capable of inhuman cruelty. He has an eye for the quick buck etc. but is a loyal friend who often never forgives an insult nor forgets generosity. I was intrigued by the narrator of the story, as I am sure a lot of readers will be. He is someone who is both in the story and yet distant from it. Who exactly is the narrator? I worried about the narrator a little bit. I wondered who could tell the story of the house with utmost candor and I realized that only a younger member of the family could have the kind of unflinching gaze or the cold eye to tell the unvarnished story of the house. How did the inspiration for this novel come? Was it a flash of an idea, lines of dialogue, or did the story come fully made? The idea of the house came first but as soon as the house was built the inhabitants began to casually walk in. How long have you been working on it before it finally got out there? I had the idea for quite a while but it only began to concretize about five years ago. So what next should readers be looking forward to from you? Another book on a man I call the Nigerian Prophet. And thanks for the interview and it was nice meeting you at Africa Reads in London over the summer. Best wishes for your forthcoming novel. Thanks a lot. It was great meeting you too. All the best with yours. This is another elegant interview. Keep them coming. I am still reflecting on the story of the female carpenter from Abuja.